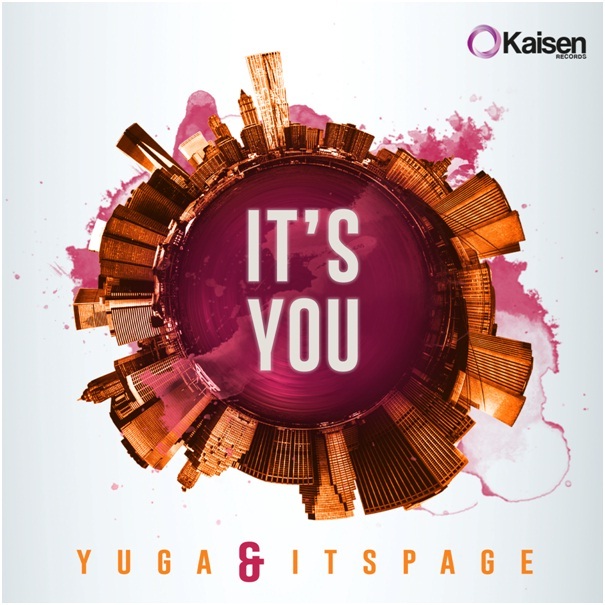 Out on the 21st of December, 2015, ‘It’s You’ is a massive collaboration between two of Italy’s finest up-and-coming Dance music artists – Yuga and ITSPAGE. Seeking to end 2015 in style, this single has everything in place to continue the ongoing streak of top-notch material under the Kaisen Records brand. Having just release a very well received production by the name of ‘Get On It’, Angelo Paciotti, better known as Yuga is looking to continue his legacy of quality material, having received extensive acclaim for his rendition of ‘You Got The Love’ in collaboration with the legendary Candi Staton. Having built a reputation under the Tradelove stage name, Yuga is now continuing his rise with refined productions, whilst also touring worldwide in: Hong Kong, South America, UK, Spain, UAE and Eastern Europe. On the other hand, Riccardo Paggi, the man behind the ITSPAGE moniker is moving his first steps into the Dance music realm, already showcasing his mad skills and talent. Hailing from Senigallia, Italy, ITSPAGE has managed to create his own unique style, characterised by a highly original House foundation and dabbling into Deep, Indie, Future House and Nu-Disco sounds. ‘It’s You’ will be marking ITSPAGE’s remarkable debut and will certainly set the path for many more projects to come. Boasting flavourful Future House inspirations, ‘It’s You’, starts off with a high pitched melody, showcasing an intense House style drum beat and introducing spicy percussive elements to take things to the next level. A breakdown gives space to the silky vocals to shine, whilst a dreamy arrangement and a subtle groove provide the perfect accompaniment before heading into a colossal ascension. Yuga and ITSPAGE unleash an exquisite subby drop, putting infectious melodies and tasty beats in full display. A sudden halt brings energy levels back down, reinstating the smooth vocals before building up towards another much awaited drop, later transcending into a mellow conclusion. 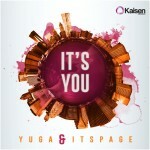 ‘It’s You’ is the latest addition to Kaisen Records’ growing catalogue. Whilst Yuga has become a regular on this imprint, ITSPAGE is offering this single as his first contribution towards the UK based label and will be looking to add weight to their House and Deep House musical agenda. Yuga and ITS PAGE are now part of the Kaisen family, adding their names to the imprint’s roster, amongst stellar artists like: RoyTson, Shadeyes, Xika, Liquid Cosmo and Mari Ka. ‘It’s You’ is Kaisen Records’ last release for 2015 and is surely ending this year with a bang, following a long series of other top quality releases. Jammy’s Jaunts: 08.02 – 09.02 – Groovecast Live and LWE presents SidexSide.